Can Giuoc District, Long An Province, Viet Nam. 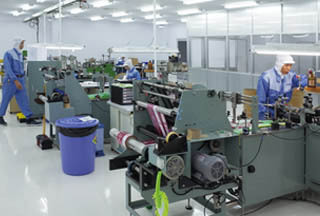 Vietnam Plant mainly handles plastic film products, including shrink films and flexible materials for cosmetics and toiletries. From the start, this plant has operated under the slogan “Originality, Creativity, Novelty” when delivering high value-added products that other companies cannot match. Going forward, it will become a global force through these advanced technologies and products.